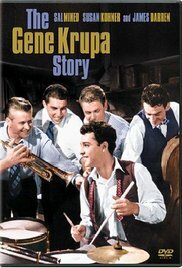 This biopic of the great jazz drummer, Gene Krupa, is brilliantly realized by a 20 year old Mineo, allowing him to show off his many talents, and shed his "switchblade kid" image. Sal studied this part for over a year, perfecting Gene's one of a kind drumming style. Although Sal's drumming was done to Gene's original scores, the drumming is 100% real. In fact, Sal's drumming is so riveting, and mesmerizing, even people who don't like jazz will be blown away! This, coupled with Sal's deep characterization, makes this biopic such a classic. The story revolves around the rise and fall of the first jazz musician to become a matinee idol. Early on, a young Krupa, decides to chose music over his parent's desire for him to enter the priesthood. He starts out with a buddy, played by singer, James Darren, in seedy underground clubs. He eventually meets Ethel, (played by the adorable, Susan Kohner). Ethel is spell-bound by Gene, and convinces Gene and his friend to move to New York, where Ethel also moves. Soon, Gene is one of the biggest names in music.He also rubs elbows with the likes of jazz greats, Anita O'Day, Red Nichols and Buddy Lester (who appear as themselves). But everything up, must come down, as success takes it's toll fast. 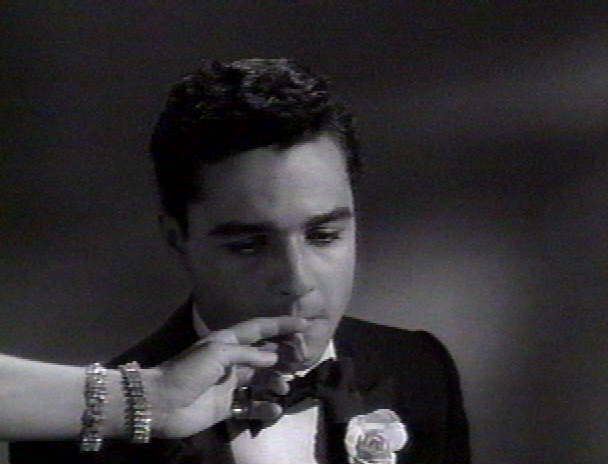 Gene becomes over-impressed with his fame, ignoring poor Ethel, who is madly in love with him. On Ethel's birthday, Gene is seduced by a singer in the band, a blonde bombshell with the heart of the devil, who beds, Gene, as, Ethel sits at home preparing a dinner for her and Gene. She also introduces Gene to Marijuana, which Gene embraces to escape. Eventually, Gene finds the drugs mess with his drumming timing, and stops using, much to the dismay of the singer. She plants some joints into his coat, so police would find them, and Gene finds himself facing drug charges. After serving time, Gene finds himself blacklisted by the industry. After much struggle, Ethel comes to his rescue, giving him the incentive to rise above it all, along with the realization that he is truly in love with her. 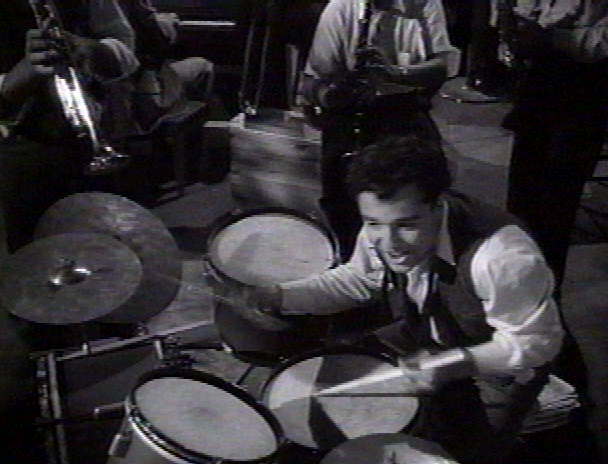 In a triumphant finale scene, Gene stages a big come-back, climaxing in a breath taking drumming sequence that can only be seen to be believed. 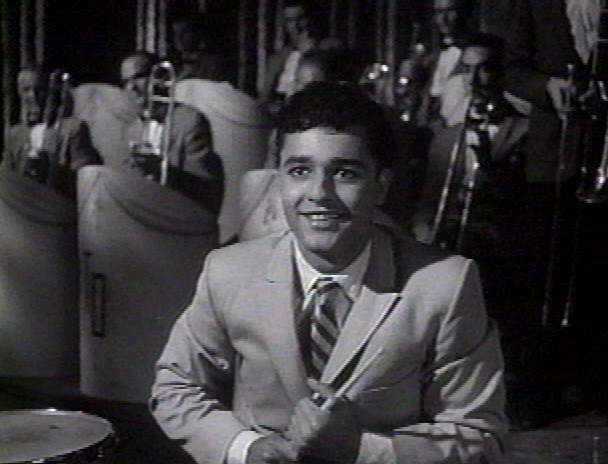 A box office hit, in 1959, this film proved Sal Mineo to be a potent draw, and bankable star. Excellent directing by Don Weis, a superb soundtrack, and excellent performances by the entire cast. If you are a Sal Mineo fan, this is a MUST for your video collection.